We’d love your help. Let us know what’s wrong with this preview of Gray Hair, Black Belt by Carl ''Cal'' Tuohey. 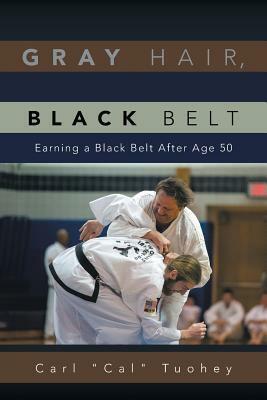 To ask other readers questions about Gray Hair, Black Belt, please sign up. I've always been interested in martial arts, and now I'm 30 years old - just making my own acquaintance - and martial arts seems like a great way to find out about myself. So, I was really, really interested in what Mr. Tuohey got out of coming into the martial arts late in life. Mr. Carl "Cal" Tuohey has lived his entire life in the Erie Canal town of Medina, New York. He and his wife, Jeanne, have been married for 34 years and have two children, Elizabeth and Jackson. In addition to his career as a systems analyst, Mr. Tuohey has taken on many endeavors. These include acting, stand up comedy, hosting two local cable television shows, organizing and running a mens basketba Mr. Carl "Cal" Tuohey has lived his entire life in the Erie Canal town of Medina, New York. He and his wife, Jeanne, have been married for 34 years and have two children, Elizabeth and Jackson.